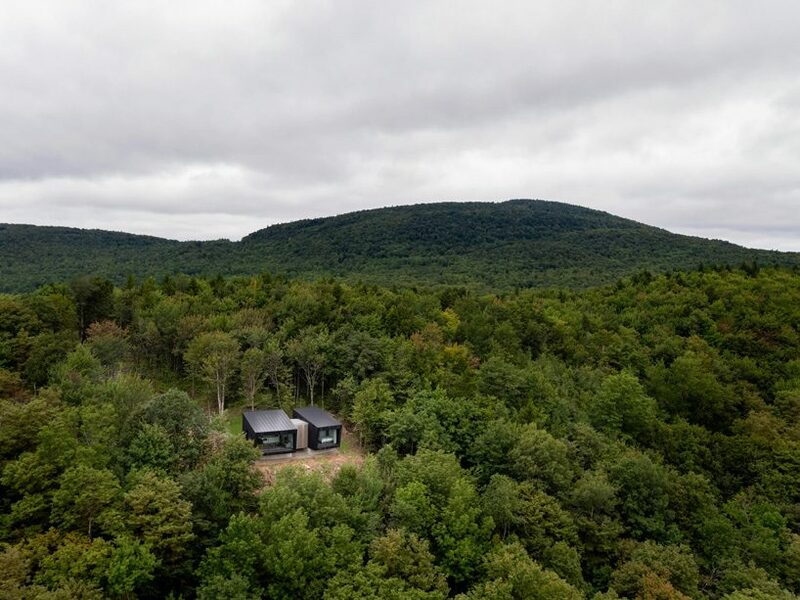 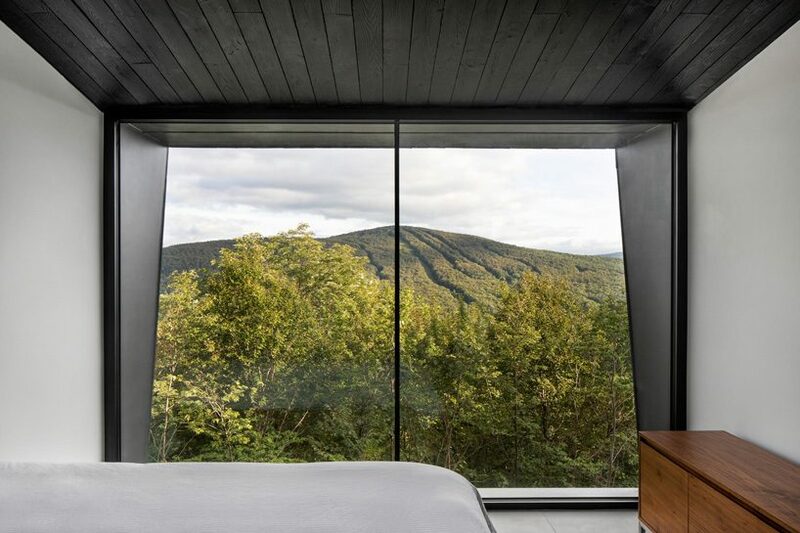 anchored on the rocky landscape of a wooded glade, naturehumaine’s la binocle cabin overlooks the eastern townships mountains in quebec, canada. 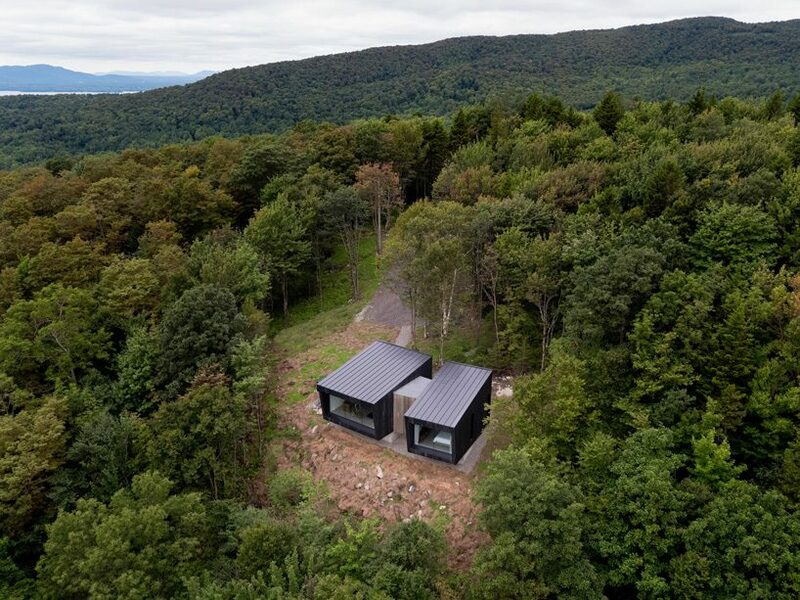 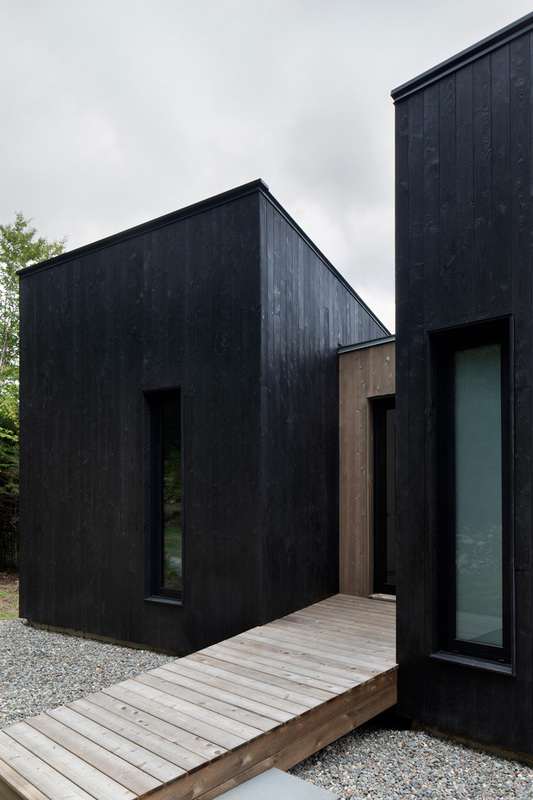 comprised of two angular volumes clad in burnt wood, the residence is designed to enhance the beauty of the surrounding landscape, while at the same time offer a tranquil and contemplative space for its inhabitants. 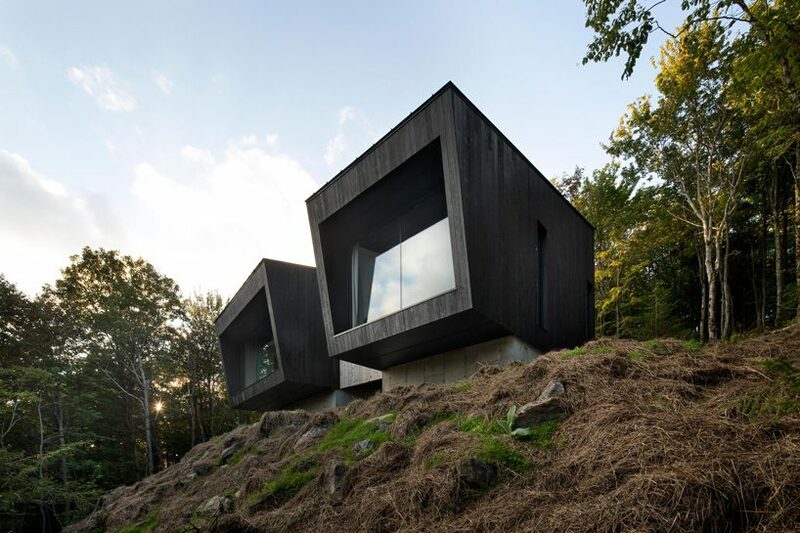 the montreal-based architects have anchored the cabin’s raw concrete foundations on the mountain’s rocky ground, and enveloped its exterior in a natural palette of burnt wood and pre-woven hemlock planks. 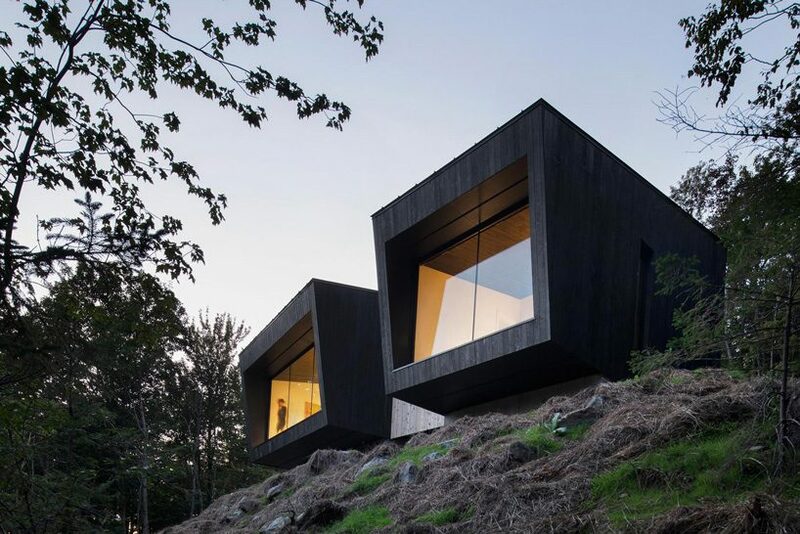 the two volumes are oriented differently from each other and connected via the in-between space of the entrance. 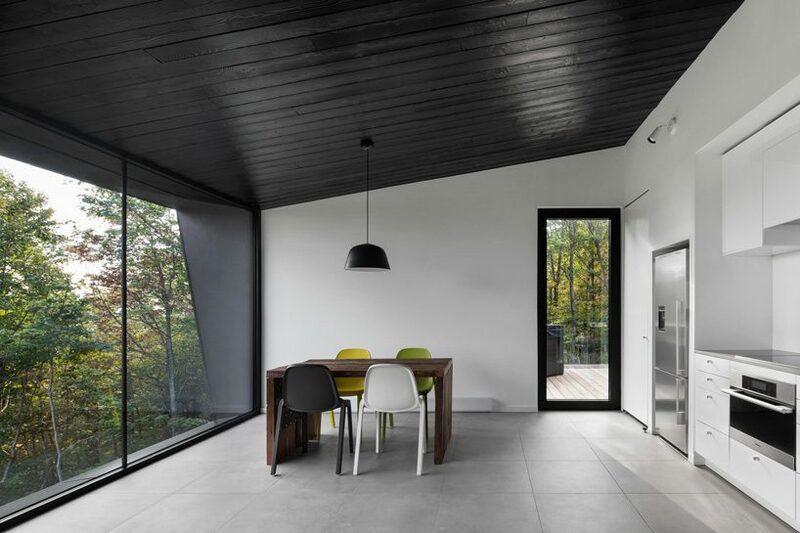 all living areas are contained in the first module together with a wooden platform that extends beyond the kitchen and is oriented west towards the sunset. 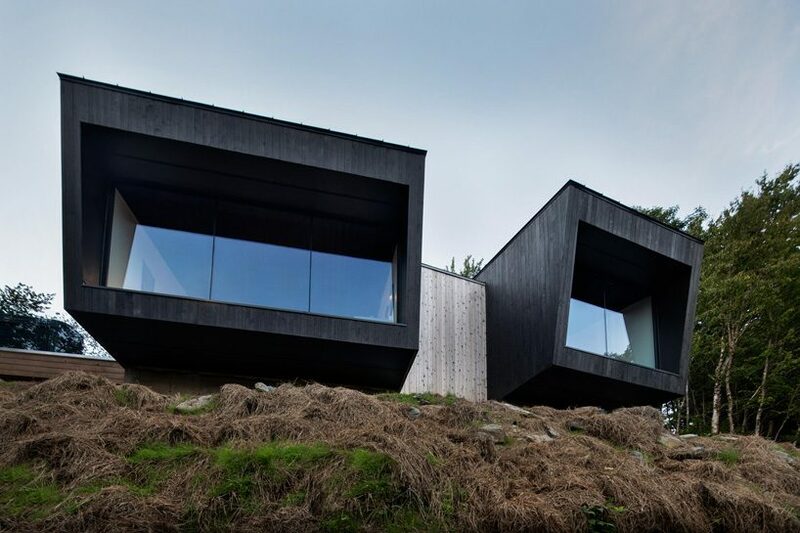 panoramic views become the focal point of both volumes, the second of which contains the two bedrooms, while the ceramic with a concrete finish on the floor unites all areas and references the natural finish of the foundations. 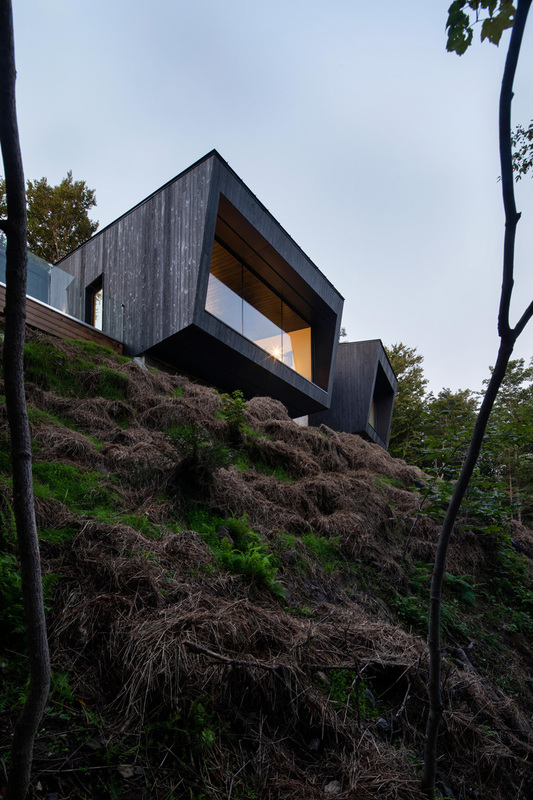 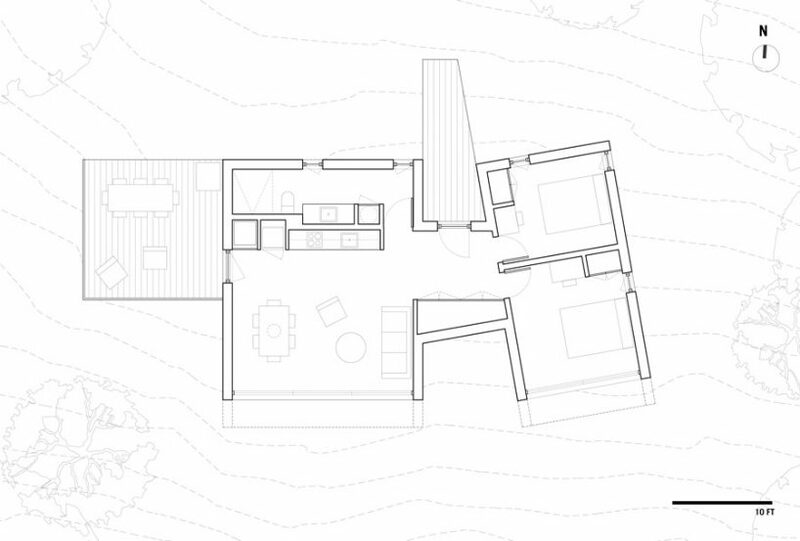 naturehumaine has topped the cabin with sloping roofs that follow the natural slope of the ground and reinforce the sensation of sliding over the cliff. 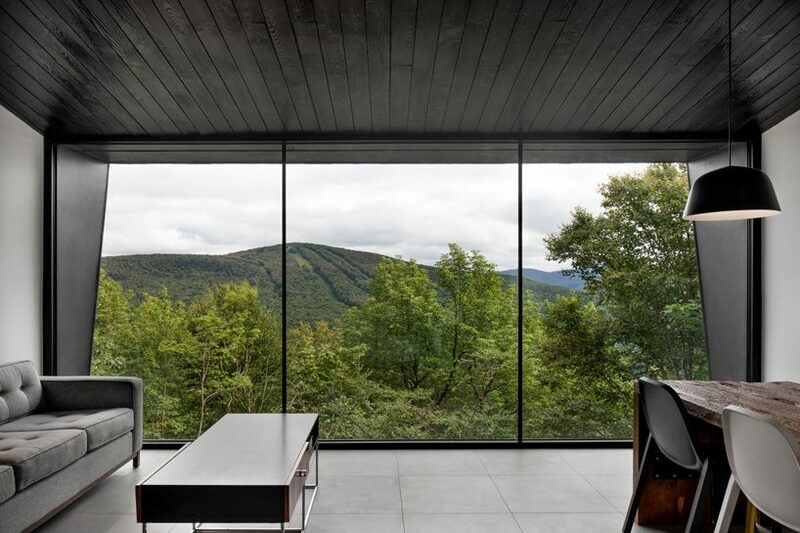 extending beyond the floor-to-ceiling windows of the south façade, the roofs emphasize the view while limiting solar gain during the hot season.